Size Foundation supports Ramana’s Garden in Rishikesh, India. It is the home and school for orphans, destitute and abused children. 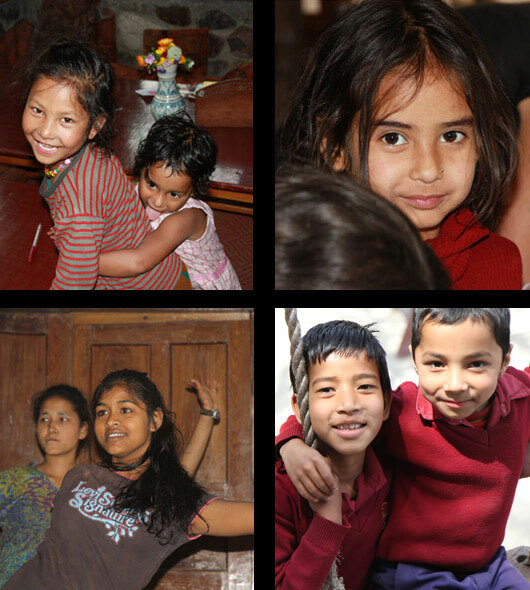 The orphanage was founded in 1997 by the American, Prabhavati Dwabha, former Maggie O’Hara. Currently there are 60 children living at the home who are supported with food, clothes, shelter and education. During the on-going school year, another 135 children from the surrounding areas attend the school daily. In order to qualify as a student, the child must come from a background with immediate poverty or an one-parent family situation. The children who live outside of Ramana’s Garden receive the same financial support as the children staying at the orphanage. The education at the Ramana Garden’s school holds a high standard and quality. Classes run from kindergarten to Class VIII and it is the only English-medium school in the local community. The school is free for all the students. There are 14 teachers who teach the students math, science, social studies, English, Hindi, music, arts, crafts and Indian classical dance. In third grade the students begin with basic computer classes. The Foundation has granted high school and college scholarships to students, who attend school outside of Ramana’s Garden after 8th grade. The children at Ramana's Garden are sharing with us their life stories and dreams! We are proud to announce that Uday, who is 17 years old, got 100% out of 100 on his 10th State Board exam.